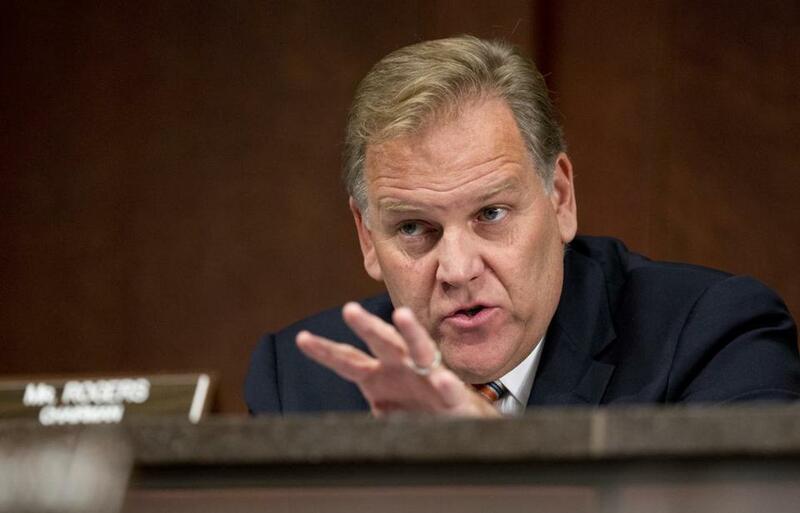 Mike Rogers, a former representative from Michigan, had been thought to be a leading candidate to head the CIA. 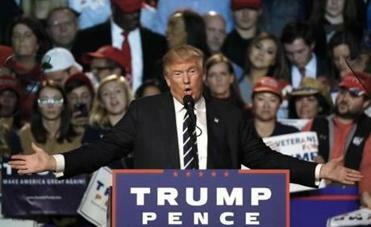 WASHINGTON — President-elect Donald Trump’s transition was in disarray on Tuesday, marked by firings, infighting, and revelations that US allies were blindly dialing in to Trump Tower to try to reach the soon-to-be-leader of the free world. One week after Trump scored an upset victory that took him by surprise, his team was improvising the most basic traditions of assuming power. That included working without official State Department briefing materials in his first conversations with foreign leaders. Two officials who had been handling national security for the transition, former representative Mike Rogers of Michigan and Matthew Freedman, a lobbyist who consults with corporations and foreign governments, were fired. Both were part of what officials described as a purge orchestrated by Jared Kushner, Trump’s son-in-law and close adviser. The dismissals followed the firing on Friday of Governor Chris Christie of New Jersey, who was replaced as chief of the transition by Vice President-elect Mike Pence. Kushner, a transition official said, was systematically dismissing people like Rogers and Freedman who had ties with Christie. As a federal prosecutor, Christie had sent Kushner’s father to jail. US allies were in the meantime scrambling to figure out how and when to contact Trump. At times they have been patched through to him in his luxury office tower with little warning, according to a Western diplomat who spoke on the condition of anonymity to detail private conversations. The Trump transition team had previously informed reporters at Trump Tower that there would be no movement by the president-elect. President Abdel-Fattah el-Sissi of Egypt was the first to reach Trump for such a call last Wednesday, followed by Prime Minister Benjamin Netanyahu of Israel not long afterward. But that was about 24 hours before Prime Minister Theresa May of Britain got through — a striking break from diplomatic practice given the close alliance between the United States and Britain. Despite the haphazard nature of Trump’s early calls with world leaders, Trump’s advisers said the transition team was not suffering unusual setbacks. They argued that they were hard at work behind the scenes dealing with the same troubles that incoming presidents have faced for decades. The Associated Press reported that Giuliani seemed to be angling for secretary of state. But Trump’s transition team was reviewing Giuliani’s paid consulting work for foreign governments, which could delay a nomination or bump Giuliani to a different position, according to a person briefed on the matter but not authorized to speak publicly about it. Giuliani founded his own firm, Giuliani Partners, in 2001, and helped businesses on behalf of foreign governments, including Qatar, Saudi Arabia, and Venezuela. There were reports within the transition of score-settling. One member of the transition team said that at least one reason Rogers had fallen out of favor among Trump’s advisers was that as chairman of the House Intelligence Committee, he had overseen a report about the 2012 attacks on the US diplomatic compound in Benghazi, Libya, which concluded that the Obama administration had not intentionally misled the public about the events there. That report echoed the findings of numerous other government investigations. The report’s conclusions were at odds with the campaign position of Trump, who repeatedly blamed Hillary Clinton, his Democratic opponent and the secretary of state during the attacks, for the resulting deaths of four Americans. In another surprising development on Tuesday, retired neurosurgeon Ben Carson is unlikely to join the administration but will remain an informal adviser. ‘‘The way I’m leaning is to work from the outside and not from the inside,’’ Carson said in an interview. Carson, who is Trump’s highest-profile African-American supporter, has been under consideration for several positions in Trump’s Cabinet. Cohen, a conservative Republican who served under President George W. Bush, said Trump transition officials had excoriated him after he offered names of people who might serve in the administration. “They think of these jobs as lollipops,” Cohen said in an interview. Senator John McCain of Arizona, chairman of the Senate Armed Services Committee, weighed in as well. On Tuesday he issued a blunt warning to Trump and his emerging foreign policy team not to be taken in by President Vladimir Putin of Russia, whom Trump praised during the campaign. “The Obama administration’s last attempt at resetting relations with Russia culminated in Putin’s invasion of Ukraine and military intervention in the Middle East,” McCain said. Some of the early transition difficulties may reflect the fact that Trump, who has no governing experience or Washington network and campaigned as an agent of change, does not have a long list of establishment figures from the Bush era to tap. His allies suggested that might ultimately prove positive for Trump if he were able to assemble a functioning team that would bring new perspectives to his administration. For advice on building Trump’s national security team, his inner circle has been relying on three hawkish current and former US officials: Representative Devin Nunes, a California Republican who is chairman of the House Intelligence Committee; Peter Hoekstra, a former Republican congressman and former chairman of the intelligence committee; and Frank Gaffney, a Pentagon official during the Reagan administration and a founder of the Center for Security Policy. Prominent donors to Trump were also having little success in recruiting people for rank-and-file posts in his administration. Rebekah Mercer, the scion of a powerful family of conservative donors and a member of Trump’s executive transition committee, has said in conversations with Republican operatives and previous administration officials that she was having trouble finding takers for posts at the undersecretary level and below, according to a person familiar with her outreach efforts. She told them the transition team was more than a month behind schedule and on a tight timeline. In another delay, Pence did not sign legally required paperwork to allow his team to begin collaborating with Obama’s aides until Tuesday evening, a transition spokesman said. Christie on Election Day signed a memorandum of understanding to put the process into motion as soon as the outcome was determined, but once he was ousted from the job, Pence had to sign a new agreement. The paperwork serves as a nondisclosure agreement for both sides, ensuring that members of the president-elect’s team do not divulge information about the inner workings of the government that they learn during the transition, and that the president’s aides do not reveal anything they may discover about the incoming administration’s plans. Teams throughout the federal government and at the White House that have prepared briefing materials and status reports for the incoming president’s team are on standby, waiting to begin passing the information to Trump’s staff. As of Tuesday afternoon, officials at key agencies including the Justice and Defense Departments said they had received no contact from the president-elect’s team.